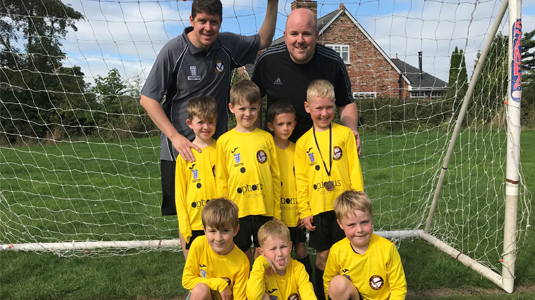 At Optionis, we’re always keen to do what we can to support the local community, which is why we’re very pleased to announce that we’re sponsoring a local children’s junior team. We’re providing £500 in sponsorship for the Eagle Junior Football Club, Madrid. 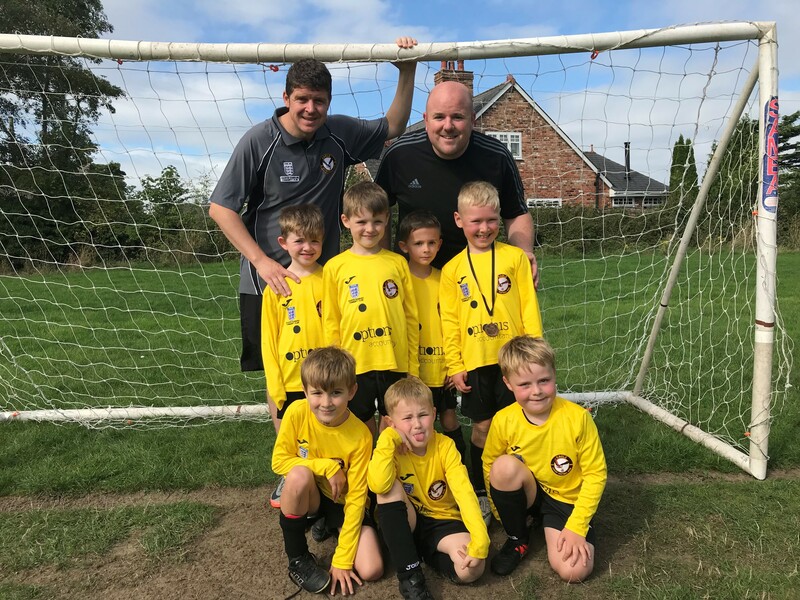 The team plays in the Warrington Junior Football League on Saturday mornings and the sponsorship by Optionis will go towards the cost of equipment and facilities for the team.  The team manager is Oliver Lloyd, IT Infrastructure Manager at Optionis, whose son, Harry, plays for the team. Our logo has also been printed on the shirts and, as you can see from the photo, it looks great! The Eagle JFC Madrid team with coach Allan Frew (top left) and manager Ollie Lloyd (top right).